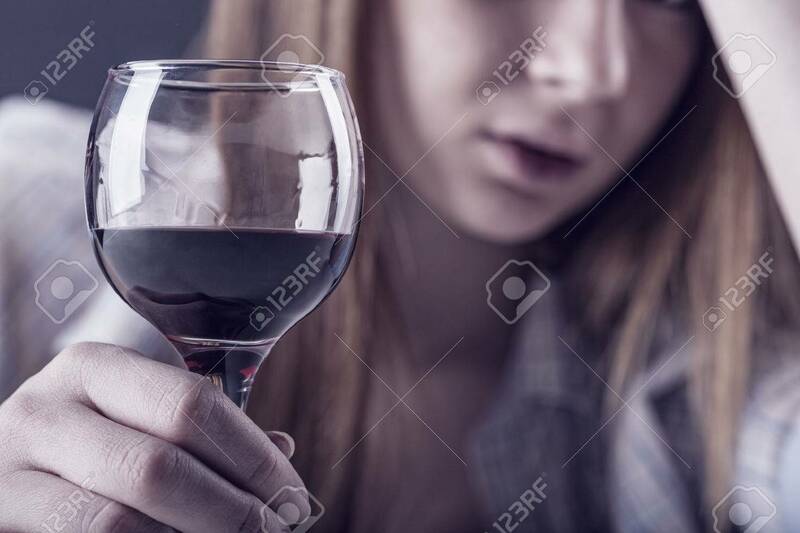 Young Woman In Depression, Drinking Alcohol. Focus On Glass Stock Photo, Picture And Royalty Free Image. Image 35229383.